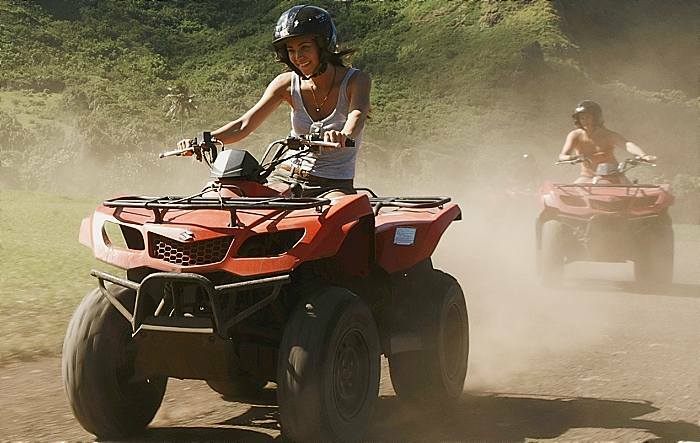 This ATV tour offers a full hour of Kualoa’s finest scenery. Hop on rain or shine to see famous film sets, ride through hidden valleys and uncover areas seldom conquered by foot. The hour-long excursion leaves no stone unturned! Start your ATV journey by getting to know your vehicle with a brief safety instruction. 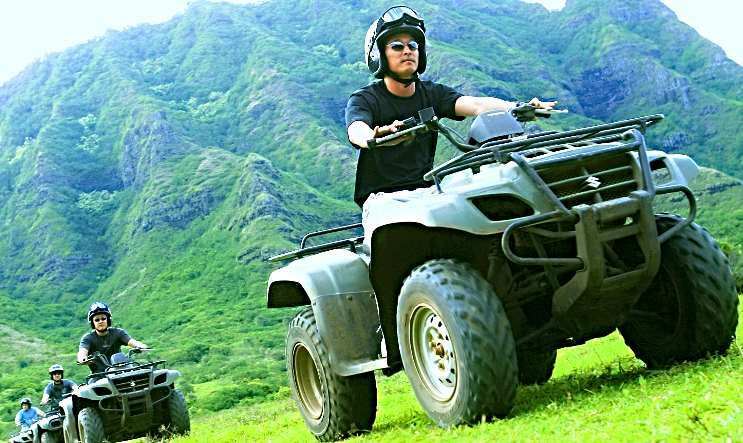 Gear up and hop on for the hour-long guided ATV tour. See famous movie sets. A few notable attractions include those of Jurassic Park and Lost! Travel through splashy streams, mud holes and bumpy terrain. Zoom along the Pacific coastline. Learn all about the colorful scenery from an equally colorful guide! Encounter all kinds of curious wildlife. This ATV adventure is for just about anyone. No experience necessary; as long as you’re 16 and don’t mind getting a little dirty, you’re golden! If you’re looking to truly discover Oahu, it doesn’t get more immersive than this!